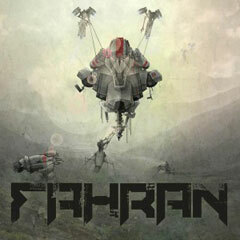 Fahran was born from the ashes of Toxic Federation, a band whom already had a couple of DIY releases under their collective belts, despite having an average age of under twenty years old. Following the departure of Toxic’s vocalist and guitarist, a name change also bought the arrival of new band members, including vocalist Nick Whitcroft. In addition to the run of dates posted here, pop-punkers The Ataris have extended their upcoming 2013 tour. Popular troubadour Frank Turner will return to the US in March 2013 for a run of dates to promote his new album ‘Tape Deck Heart’, released in April. The seven US dates are sandwiched between dates in Europe and Australia with Dropkick Murphys. All of Turner’s confirmed dates for 2013 (so far) can be seen below. Yeah Yeah Yeahs are set to make a return to the UK in May, when they will play three live shows to promote their fourth album ‘Mosquito’. The album is the band’s first album since 2009’s ‘It’s Blitz’. The Manchester and Leeds shows are regular gigs, while the London appearance is a headline for the ATP curated event ‘I’ll Be Your Mirror’ (also featuring Grizzly Bear and The Walkmen). Veteran guitarist Eric Clapton will release a new album in March. Entitled ‘Old Sock’, the record will feature Clapton’s takes on a bunch of cover tunes, including material originally by Gary Moore, Peter Tosh and others. Guests will include Chaka Khan and Clapton’s old Blind Faith bandmate Steve Winwood. In addition to ‘Old Sock’s ten covers, the album also includes two unheard EC originals, ‘Every Little’ and ‘Gotta Get Over’. The album marks Clapton’s first release since 2010’s self titled record. Read a review of ‘461 Ocean Boulevard’ here. Read a review of ‘There’s One In Every Crowd’ here. Read a review of ‘Clapton’ here.